A vital away draw against the group favourites in a hot and sweaty Paris after conceding a goal within the first minute: our boys did us proud. Yes we were lucky at times but we should not underestimate the sequence of events in this game: there was plenty of adversity to overcome and to do so is the making of champions. How many times did we see the likes of the Chavs and MU grind out a result with big dollops of luck over the last ten years and eventually win the league or CL? It requires backbone and Arsenal have it. Although I would not have started with Coq and Santi in the double DM pivot necessarily, I can see why Wenger went for the same duo from the Saints game. Francis offers defensive solidity and Santi is good when under pressure at the back. But more about that later. With Theo out injured and Perez needing a bit of time to get used to the way Arsenal play, Wenger had to fall back on Ox and Iwobi to play on the flanks. Regular readers on BK know my views on the Ox as well as Iwobi. I reckon the former is not going to make it and the latter should be given more chances to shine. And as soon as Perez is fully integrated in the team I reckon the time for the Ox is up, but that is for a future post. The obvious issue for Arsenal at the moment is the solidity of the back four. In the last two games we have given away a large of number of half and full-fat chances and that is an area of concern. A logical one, though. Mustafi looks already at home and is the sort of modern CB we have all been craving for. But it takes time before he and the other quality defenders and goalkeeper will gel into a solid and controlled defensive unit. And if we then concede a goal in the first minute, against a team that was still looking for its seasonal mojo and then gets the perfect lift/gift for crowd and players, you know it will be a difficult game for our team. I feared the worst initially. You can blame Wenger for choosing a first eleven you do not agree with, and I have some sympathy with that, but the bigger picture is that we conceded a rotten early goal which gave the Parisian Oilers a great boost of confidence at the Parc des Princes, and we played a CB pairing with just 90 minutes between them. After the goal we were put under a lot of pressure and our DM pivot was pushed right back, divorcing the attackers from the much needed link-up play, who were struggling to get their game going on their own against a number of strong PSG central midfielders and defenders. It was a typical game in which we needed a mobile, continuously running B2B midfielder and that, my dear friends, Cazorla is not. And that is also why le Coq is often seen up front, lately. You could see the effect of Wenger’s team talk in the second half. We dared to push up more and our midfield started to link up with our attack better. We started to play better even though it did not lead to many chances for us and PSG were given some very oohlalah opportunities to score the all important second goal. Rather than going for the cheap, guttural ‘Alexis is not a CF’ I would like to focus on the lack of cohesion and understanding by the mid-wingers of how to play with Sanchez and, to some extent, by Ozil. Many reckon that Mesut deserves a better CF than Ollie, but I reckon the Frenchman is the perfect link-up player for all his magic to come to fruition. Mesut and Alexis also have a good understanding, so I don’t think it will take long for both to adjust to the Chilean’s new role. Whether you like it or not, Alexis is our new main CF for the season. And just like getting used to playing with Mustafi at the back, the team will also have to work hard to get the best out of what Alexis has to bring, which is a hell of a lot. When the midfield did not come to support the attack, Alexis did well to go and do the link up himself. That then means that one of the midwingers needs to utilise the space made available up-front. Ox does not get this and Iwobi is slowly improving re this. On top of this, they need to learn to balance attacking with supporting their full backs… a work in progress (especially given Aurier’s freedom on our left). Luckily, the midfield pushed up to take the game to PSG in the second half, and we played much better then. And it is fair to say we played better again when Ollie arrived, as the team could fall back to their old system of attacking our opponents. When we scored the goal there were four Arsenal players in the box. Mesut put a good, fast ball into the box and the first touch of Iwobi was pretty perfect; he then unleashed a well executed shot but it was at the right height for the keeper who still saved well. Luckily, the rebound fell to Alexis who finished like a proper CF: a well placed and venomous shot beyond the reach of the goalie. Both teams had chances to win the game after that and PSG deserved it more than us to be fair, but we showed resilience and fighting spirit to hold out and a very valuable point was brought back to the home of football. And with a draw in the other group game, it has been a pretty perfect start for us in this year’s CL campaign. Mustafi’s passing and positional play. Only his second game and he looks class – just needs to be integrated into the defensive unit, which takes time. 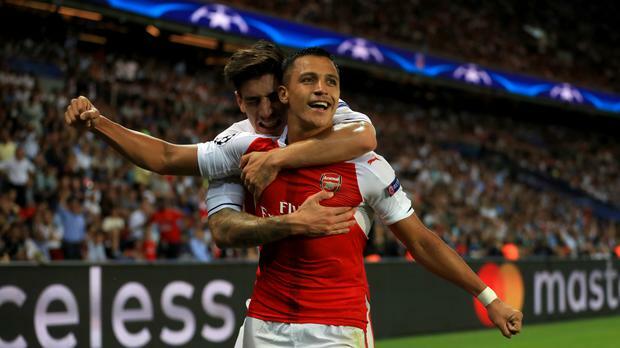 Alexis’ goal: great finish at a crucial point in the game. Iwobi’s attacking play: great first touch in congested area for his shot on target that led to Alexis’ goal and could have won it for us later on. He still has a lot to learn but you can see he is destined for greatness if he can continue his progress. Koz: battered and bruised on Saturday, but no stopping him on Tuesday. What a spirit! Violently happy, Koz we love you (yes from the Bjork song). Bellerin: nobody attacks us these days from the left a lot. Why is that? Only 20 years old and such an established Gunner already. WOW. Wenger: for turning the game round with his team talk at half time. Not by taking out players and blaming them, but by talking to all his players and making them play better. A typical ‘McGregor Y-manager’. Coquelin and Santi: for playing two games in three days and being able to adjust and turn round the game in the second half. Next up in the CL are two home games and let’s hope we will play with the same fighting spirit and be a bit more ‘gelled’ by then. This entry was posted in Arsenal Analysis, match review and tagged Arsenal, Champions League, match report, midfield battle, Ospina, Sanchez. Bookmark the permalink. Many thanks for the fab write-up TA. I’m in the midst of a brutal server-to-cloud migration– and DVR’d the game– but cannot budget the time to watch until this evening (Wed.GMT -6:00). I kept glancing at the bare scoreline– online– yesterday, but got pulled away from my desk until well after FT. Was cringing with the thought of a 1-nil loss– or worse– when I was able to refresh my browser to see the redeeming 1-1 final score. And nothing I read last night gave me the quenching details– I’m reading now, at 6am local time. Thanks again, for what you do! Good review TA and you did well to find 8 positives from the match. For me the highlights were the attacking performances of Iwobi (willingness to shoot and shoot accurately), Alexis (accurate shooting and creativity) and Cazorla (creativity from deep). Defensively, I thought Ospina (shot stopping), Mustafi (tackling, intercepting and clearances) and Monreal (tackling and intercepting) were our best. I thought Bellerin, Koscielny, Coquelin and Santi all struggled defensively. As did Ox and Ozil offensively. Spot on TA. ….Well almost, ha ha. Not that I disagree with your assessment of Ox. More on that later. However, I think you over egg the cake regards our CF. More on that later. Of course there was a lot of double speak from the PSG camp regarding injuries. Almost Wenger-esque? Aurier being the first one named as going missing, and we saw what a difference he made? Alcide and I are agreed on Monreal’s problems, in that, presumably, he drifts in because there is no attacking or defensive midfielder covering the gap between the CB’s and the position on the wide left. If he goes out to the opposing attacker, there is a huge gap behind him? When we pressed higher up the CB’s (Kos) can get wider while the DM’s cover the middle? For the second game running, Santi came good in the second half, partly because the nature of the game changed. I hope it is not the pace early on that finds him out? It should be said, PSG did press us well, and very few had any time on the ball, so fair play to them. Coquelin was getting forward, again for the second game in succession, because he took the opportunities that were presented. Very few of the others did. Now whether this was because they were committed to applying the width, Ox and Iwobi,, or because Santi hasn’t got that turn of foot to get him there? It is an open to question. Ozil is looking like a player with contract talks on his mind? Ox looked quite good at a lower level in pre-season, down the left, but I don’t think he can cut it at the top level. He can use his initial burst of speed to get away from one or two defenders, but a 3rd is invariably waiting. He is every bit as right-footed as Alexis, who you rarely see him go to the bye line and swing in a cross with his left? But that is what they are asking of Ox? It is also not made any easier with Alexis being so similar, because it crowds the middle when both turn inwards? He has now lost his confidence, so even when he switches to the other side he is not able to do what he is good at. That is, as a wide right attacking midfielder who can link well with the overlapping fullback(Bellerin). I hope he gets one more opportunity against ‘Forest, otherwise he will be confined to the Under 23’s until January, or his confidence returns … whichever is the sooner. Regards the central positioning of Alexis, I think you are right. Others are not taking advantage of the space he vacates. But that is part of the problem. He is a bit like Rooney, he gets bored if he is not part of the action, and comes deeper looking to get involved. The trouble last night was we had no one who fulfilled the criteria for a centre forward when he came out of the middle. Late on Iwobi did go into that area, and the goal resulted. With all respect TA, Alexis did not hit the back of the net like a CF, but like a STRIKER, which is what he is. Edge of the box stuff is the preserve of an attacking midfielder err, like Iwobi, but he was playing CF inside the box? Yes, yes, yes, we have a fluid line up at the top, and if Perez was playing he would, or should I say , possibly could have been and ideal foil? And vice versa. I don’t want to see a static CF, but someone, as was said in the comments, has to occupy the opposition CB’s, and when Alexis goes wandering, we had no one? Overall it was a gritty performance, and it was really good we got some reward for it. That is a real sign of improvement in the depth of our squad this time round. All agreed on your positives. Well written TA a very fair analysis. A lot of positives from the game and you have covered them very well. I find myself focusing using on some negatives though, if only so that I can think positive thoughts on them. As always Wenger has knowledge about injuries etc we are not privy to. Supposedly Xhaka was our best player against Watford. He was supposedly rested against Southampton, yet he never made the team last night? I don’t understand. The team looked s little lost until Giroud came on. On the rare occasions we did get crosses in we had no series power. On many occasions when we attacked Coquelin was our furthest forward player. Call me stupid, but as much as I rate Coquelin he hasn’t scored on over 100 game Series?…. Lastly does anyone watch Suits. Is it me or is Alexis doubling up as Harveu Specter? Cheers Waldo, and fair comments. I reckon we still have to re-gel the team a bit for the season when it comes to defending as a unit. Good comments Gerry, and agreed either Perez, or the injured Theo, could have been a better foil for Alexis when he moves up to link up with the midfield. We have to give Ospina games to keep him happy, so although I did not see it coming, it makes sense to me. And the manager will always live with his decision. This one turned out right so let’s give him credit. Not sure either what the rationale was for not starting him. Maybe Wenger is working on him in terms of the sort of role he needs to play. I reckon when we play park the bus teams, Xhaka will normally start. I reckon the team is still getting used to the new system of Alexis up-front. It is easy to get rid of the ball by pumping it in to the box for the big fella… but that is not going to work any more… work in progress? No, I don’t. Do you have any images? Thanks TA for the blood transfusion. Our thoughts can now shift healthily to Hull. Most of us keep complaining that Wenger never has a plan B. When he shows up with a line up that gets us baffled with Alexis at #9, Xhaka not there, Ospina in goal and Coq operating high up the pitch, we begin to wonder if he has gone bunkers. Plan B pure and simple and it got us a draw which we all put our signatures to before the blast of the whistle. Yes Ospina was part of that Plan B. It seems we need to have perfect communication so that fans KNOW who will play (And why?…to paraphrase, well, actually, to quote retsub… nothing personal, my friend…and I found the line-up quite mystifying myself…) and then we need to never have a close match and win every one of them in completely convincing fashion. Right now we’ve got none of that, but a win (very late and by way of a penalty…) at home (the toughest place to play…) on Saturday and then a draw (on the road, with a mix-matched odd-squad…) masks over a lot of issues. I agree, sometimes getting results, even if they’re ugly performances, IS the key to happiness, if not winning trophies. I still think we’ve got a good–and very deep–squad but I have zero clue what AW is thinking re:rotation and fitness levels and ultimate directions. Possession should come easier in league matches and then it’s about the quality to put it in the net. Yes we were lucky that Cavani had a Shane Long-esque performance and that Ozil, Iwobi and Alexis combined to score the equalizer. Imagine if Iwobi had been able to open his body just that little bit more to lift the curler into the far corner for the winner. “Give him #14, Theo…” would be the tweet of choice, I think…. TA.. great post.. I Agreed with you in most points.. but for me.. Sanchez just not so good for CF than as winger.. I still think that his best is as a second striker.. hehehe.. Just as he did on his goal yesterday.. coming from behind our main CF.. 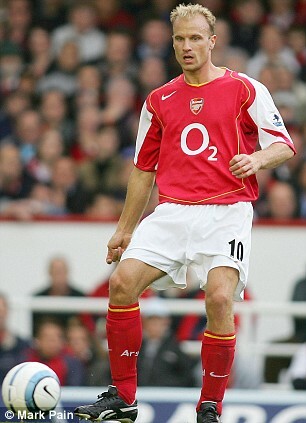 I wonder how come Wenger didn’t give him that chance..?? I must agree with Retsub that we seem don’t know what to do before Giroud came in.. I think Wenger gambling a CF role again.. as he did with Walcott last two season.. and I think finally will ended the same.. that he realized that Sanchez just not a great CF.. I still wonder what use to bring Perez eventually.. if Wenger plotting Sanchez to do that CF role..??? For our early conceded goal.. I don’t know whose to blamed.. it’s just happend so quick.. I think Kos and Mus must be responsible for that.. but let give them a little more time, so they can know each other more.. and can give a very solid partnership in our back field.. But above all that, I believe this season we can do better in CL.. We will win this group.. and we can at least be in the semifinal.. hehehe..
And TA.. my question is.. why you always give 8 points..?? hehehe..
What is the news re the potential eruption of a volcano in Indonesia – sorry forgot where it was exactly? Perez/Iwobi – Giroud/Sanogo/Welbeck – Sanchez/Theo/Ox – Perez or Sanchez as Plan B.
Wenger will experiment for a while without jeopardizing results hopefully. He simply has to. When a goal falls early like that, can we really blame anybody? Great cross into the box and Cavani meets it in his run. I guess Mustafi could have focussed more on Cavani but from where he was positioned and the way the ball went into the box, it would have been very difficult. But TA.. I read some news said that statistically Perez is better as CF than Winger position.. He did what he did last season because He moved from winger to CF.. And I will very surprised if Wenger turn him back again as a winger.. hehehe..
Volcanos eruption..?? You mean Sinabung.. in the North Sumatera..?? Cause there so many Volcano here in Indonesia.. hehehe..
For Sinabung.. Yes, it still happening but in a lower damage.. Yes Sinabung, cheers for update. I reckon Wenger will use in more than one position this season, including CF. The only thing I would cavil about is item 8 on your positive list. 8) Coquelin and Santi: for playing two games in three days and being able to adjust and turn round the game in the second half. Total, nice job finding the positives. You could probably find sunflowers in Syria. One positive for me.. that is the 1 point that we were lucky to get away with. We always envision our own starting 11.. i admit that Arsene has more info than any of us. But really. Santi and Coquelin played 90 + on the weekend, and it was a hard 90, playing catchup from behind furiously. Xhaka and el neny were well rested, and healthy enough for the bench. Xhaka, as Total mentioned, was our best player against watford. He must have really done something to piss off Wenger. If anything, i wanted to see santi rested for his own health, and we have all these talented midfielders to keep the older ones like Cazorla fresher, he couldve come on later if necessary anyway. And this nonsense of experimenting with Alexis up front…. T, you have been very optimistic that it will work. But even you should admit that we were a different team at the very moment Giroud came on and Alexis went back where he belongs. Arsene knows much more than anyone else, but he is wrong in calling him a striker. He is a great player with excellent strikers skills. Not a striker— AT LEAST, we should not be continuing this experiment in matches that count.. like in champions lge away to psg. I just watched the game, Ozil was horrible, truly.. until the very moment Giroud came on, as was the whole team. Credit to Ollie, but it’s the knock on effect of Alexis going back where he belongs. Also, it’s champions league ffs. We’re supposed to play it tight, but we lose all of Alexis defense on the left with that set up. And where did the 1st goal come from? Nacho 1 on 1 with a very athletic Aurier. We all saw Aurier causing fits the whole match on that side- and we started our best help defender up front. Overall, terrible discipline, Coquelin being around and in their box, and you wonder why they had so many near misses, and why Ospina needed to make all those scrambling saves. Maybe we are missing Mertesacker keeping le Coq back to shield, and also not 2 cbs venturing forward in a tough champions league match. That was a SUPER high line we played. I will say i had worried about Mostafi style being too similar to Koscielny, but I’m hoping talent will make it work out ok. The commentators, pundits are always over simplistic, but this time they’d be right to say we were lucky not lose by 2 or 3. If Wenger sees this post he will feel that fielding Alexis up front is not something plausible, but I feel that if Perez is started instead of Ox we will see more fireworks. We were definitely very lucky to put in this type of defensive performance and come back with a point. Giving Ox some credit, he worked hard in both attack and defense, but what we also need is his passes to be more clinical and accurate. Alexis is playing like a thing possessed in regards stamina. I have not seen him so active in the final 20 minutes in all his time here. Driving force: His ‘exit’ contract. Not that he will ‘necessarilty’ leave, but he wants the option to do so? Shining light: When someone else occupies the CB’s, he can find room to do his stuff, albeit not on a Messi or Ronaldo scale. Oxil is under performing at the moment. Driving force: .. in a negative sense. He is delaying signing his ‘top of the tree’ contract until he can see a team that plays to his strengths: Having a well marshalled Alexis in the centre. Perez yet to enough game time, to date, to adjust. Ox on the wrong wing to use his excellent right foot crosses. Giroud losing out whiile ‘experiments’ continue. Coquelin exploited the spaces that appear, but end with him being overwhelmed, and then out of position. None of this is making Ozil feel he can give his best, and it shows? Shining light:: the intelligence of Iwobi to get in the middle and make things happen. Coquelin has an amazing appetite for working hard. Driving force: His future at Arsenal. In his younger days he was the creative mid and Yennaris was the defensive mid. His time away from Arsenal turned him into a solid DM. Does he see the signing of Xhaka as a threat, and so is pushing himself to prove his value? Ox is a shadow of the player we saw pre-season. Driving force: in a negative sense. He is playing for his very existence at Arsenal, and the opportunities he is getting is shattering his confidence. Shining light: If he gets a chance to play down the right wing, even if from the bench, it could transform him … if he does not ruin it by trying too hard. With Walcott injured(if it isn’t a wenjury? ), and Iwobi starts in the middle, he could get another chance. Otherwise he will be fighting Matland-Niles for that right berth in the Under 23’s until January? He is better than he is showing right now. Mustafi will be a great signing the more he learns on the job. Driving force: He wants it! Shining light: His talent. His presence has already done wonders for Koscielny. If he can work the same with Gabriel and Holding, he will have made our back four secure, no problem. Xhaka has a bigger learning curve than the above. Shining light: His talent, and his intelligence to know what he needs to do to become an Arsenal Great. When all of this comes together, the team will hit a run of form that could take them all the way. Personally, I agree with Gerry regarding Ox on the right flank. He knows how to mix his game up and he can put in early first time crosses. I want Ox to take more responsibility in trying to take on his full back. He has the pace and strength to do it, he just needs to try more IMO. Ozil has been poor for the past 2 games. Is it down to fitness levels? If it is I don’t mind AW resting him for a game if it means he’ll be playing at his best the next. I reckon you would go and look for celluloid on a naked Beyoncé in front of you. Alexis will be our CF but not as you would like to see it. He will develop into a mixture of Giroud and Aguero and the rest of the team will become better and better. Just because it ain’t working perfect yet we should not give up on it. And old habits die hard. And then you go and tell us the Ox should be played on the right …. We tried that as well in the past and he also lacked composure and football intelligence when he was played there. When you look closely at the Ox and Iwobi you will see that the latter is a 21th century player and the other one is stuck in the Wham years. I refer the honourable gentleman to the answer given above (Shrillex). What I also said about Ox was, destroying him on the left is no way of improving him. He cannot put crosses in with left foot, nor can he assist Monreal to the same degree, because he is tracking back and the attacker is invariably on his right? I would rather see Gibbs on that wing if he didn’t try too often to get in the box himself. We had an opportunity to play Ox to his strengths on the back of a good preseason. Now we have a player who is questioning his own ability. If he gets a game on the right against Forest it might be a turning point. Keep plugging away on the left, and he will get the idea that AW rates him as highly as you do … and move on, a la Arshavin? By which time the fans will be cheering his departure. I still think he will come good, if not for our team then some other side in the PL. I just think it will be an opportunity missed. As for Alexis, I want to be more convinced he wants to play for Arsenal, and not just use use us as a stepping stone to somewhere else. Can you be confident on that score? Hahaha I remember folk on here saying Ox should be played on the left so he could come in and use his right to shoot. He is not Arsenal level and taking the place of more promising talents. But Wenger is loyal to him till the end so let’s not criticise him. TA.. I glad that you finally realised that Ox isn’t as good as you though all this time.. I sure you will find the same with Wilshere someday.. hahaha.. I am a big fan of Wenger.. but I must said that last night he choosed the wrong man.. From a very beginning I was very surprised that we had two CF on our bench list.. What’s going on? Only Wenger know the reason why.. I though I was right about our team again Soton.. just to give our very best for CL.. but I was totally wrong.. I only hope he will ended his experimental team ASAP.. cause Players need stability.. Yes maybe he can make other team confuse but so do our player.. hehehe.. I can’t imagine what will happen when Ramsey comeback from his injury..
For the record, i wouldnt have started ox against psg. Like i said, that 11 was all wrong in so many ways.. i would have gone giroud cf and lucas on right, Alexis left, where he belongs. If not lucas right, then ox or iwobi with instructions to defend like this is a champjons league match… which our players didnt do. Campbell wouldve been solid in a match like this.. I wouldve gone xhaka, el neny, with santi on bench if needed. Clubs with ambition to win champions league set up seriously, not for entertaining football. Coquelin showed no discipline. The worst ive seen of him. Maybe Per was the one reminding him to be the shield in the past? He needs reminding it seems. So for anybody joining now, that is the head start you are giving away. I am sure many of us would have started with a different line up, but we know little of football compared to AW. We conceded in the first minute which gave them a shot in the arm,,, always difficult after that. Team needs to gel a bit more, that’s all. Gerry, I removed your self happy first line. Um Gerry, could you please provide the link to join the league? Once you are there, fill out your team. Then the question ‘Do you want to join an existing league’ will come up, so press the ‘Yes’ button and fill in the above code. Any probs get back to me before tomorrow. Okay?